How Many Laptops Does it Take? When I officially moved into the tiny house, Jamie and I had to do some quick thinking to make a plan for our laptop situation. Jamie had a sporadically useful laptop and a netbook, and when the opportunity arose, she bought a new (used) laptop to replace the cranky one. 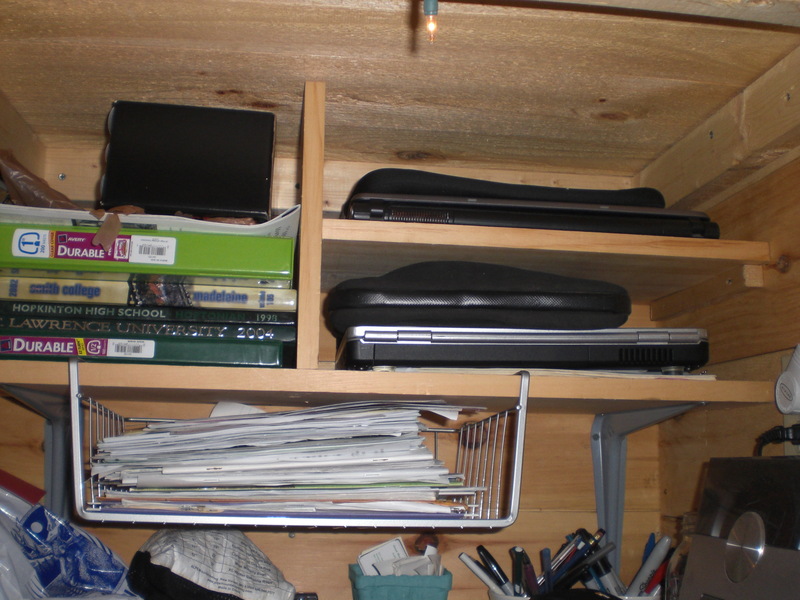 I moved in with one laptop and a netbook. This September, I started a new job and now have a work laptop to add to the mix. Yes, you read that correctly – two girls, six computers. Jamie gave away her old laptop and I only bring my work laptop home some of the time, but it’s still a mind-boggling number of computers for 120 square feet. I asked Jamie to build two cubbies on one end of our highest book shelf thinking it would be a good out of the way place to store the laptops when they’re not in use. 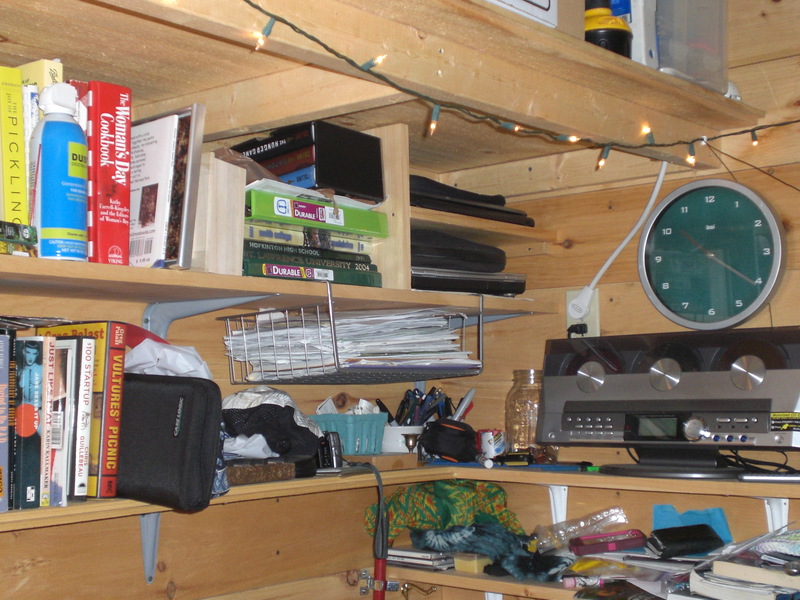 She measured the computers and gave herself a couple of extra inches, adding a vertical board and a horizontal board to halve the space and allow us each our own computer cubby. « Dude, Where are My Snow Tires?